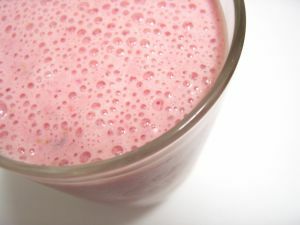 Fruit Smoothie ~In the blender or food processor combine 1 cup soft fruit with 1/4 cup milk, soy milk or yogurt and 1 tablespoon honey. Blend until very smooth. Chutney ~Place 2 cups peeled and cut fruit in a saucepan with: 1/2 finely chopped onion, 1 tablespoon brown sugar, 1 tablespoon cider vinegar, 1/4 teaspoon ground ginger, 1/4 teaspoon salt, 1/4 teaspoon pepper. Add water to almost cover. Simmer 15-20 minutes until water is almost evaporated. -Serve as a condiment for grilled chicken or beef. -Mix with mayonnaise as a sandwich spread. Make the original recipe for leftover fruit, Linda's Simple Fruit Salad.